Canada is the world’s second largest country in the world. And as many of us think, imagine or know is among the dream destinations to visit, live, work, reside in. But, of course, as some of us are also aware, there are different types of rules put up the Canadian government that let/permit (or, deny entry to) an alien citizen to enter, visit, reside, work or settle down in their country but we can reach it by obtaining a Canada Travel Visa. And also, Canada comprises different provinces and territories and these include British Columbia, Alberta, New Brunswick, Newfoundland and Labrador, Manitoba, Nova Scotia, Ontario, Prince Edward Island, Quebec, and Saskatchewan. Some of these provinces (but not all) have their own separate visa programs apart from those of the federal government that allow a foreigner to enter, travel, etc. with Canada Tourist Visa, reside with residence visa, work, or settle down in the province or country. Canada is a scenic and beautiful country (even a’ ‘must visit’ country) and some provinces within it are considered to be more so. What makes Canada an attractive place for a visitor? 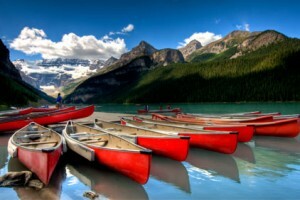 The answer is that Canada is blessed with many/all of the nature’s gifts such as forests, wildlife, mountains, beaches, rivers, lakes, and other types of scenic places. Its friendly, accommodative, etc. people, its cuisine, etc. are also a big draw. It is also a place of extraordinary diversity geographically, as well as by way of population (i.e. ethnically). Once anyone visits Canada, he or she would like to visit it again and again. So, so many are the attractions of the country that make it such a big draw. And of course, yes, it is an extremely peaceful country, too, and that is also part of its attraction. Canada’s arts and culture, many events and festivals, food and cuisine, natural scenery and wildlife, urban life and attractions, etc. make it among the world’s most favored destinations. A note regarding its ‘urban life’ is in order here. Canada is highly advanced technologically and some if its cities are as advanced as some of the most advanced and hi-tech cities in the western hemisphere. Some of the most likeable and favorite (or, favored) tourist destinations of the country include Bay of Fundy, Cape Breton, Charlevoix, the The Discovery islands, etc., Niagara Falls, for their natural wonders. 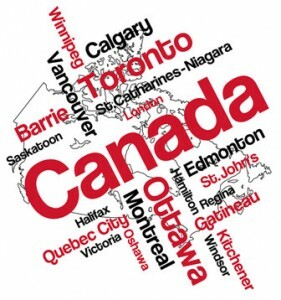 Its list of great cities includes Vancouver, Ottawa, Montreal, Halifax, Victoria, etc. Its long list of wild spaces includes Canadian badlands, Nahanni National Park Reserve, Tofino, Waterton Lakes, Newfoundland and Labrador Coast and many more. And, its retreats or places to recharge oneself include Fogo Island, Clayoquot Sound Bioshpere Reserve, Gaspe Peninsula, Great Bear Rain Forest, Gulf and Bowen Islands and many others. All in all, Canada is among the most attractive destinations in the world as for as nature’s gifts bestowed upon it are concerned.